For pilgrimages to the Camino de Santiago, you (parish contact) and your priest go for free after the first fifteen (15) paid pilgrims. You can then have an additional free ticket for every additional fifteen (15) paid pilgrims. Group pilgrimages to the Camino de Santiago start at a base fee for a 9 day pilgrimage for $2895 per person/double occupancy for a minimum of 15 paying pilgrims. 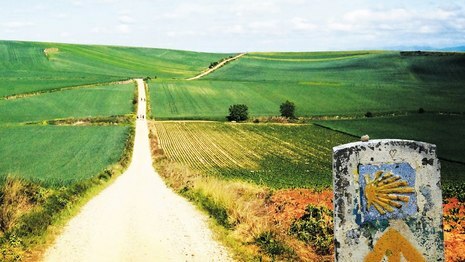 The Camino is a popular walking pilgrimage route in northern Spain that ends in Santiago. The main destination is the tomb of the apostle, St. James, who is buried in the Cathedral. For centuries, pilgrims have traveled this route in search of forgiveness, healing, and answers to any number of other prayers. 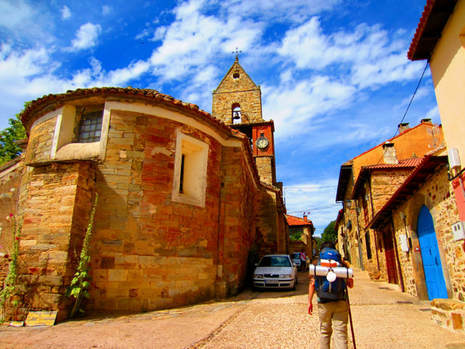 Each day on the Camino consists of about 10-18 miles of hiking, and pilgrims stay in albergues along the way. This is a true pilgrimage experience! Experience one of our faith's greatest pilgrimages! 7 nights lodging in traditional albergues (pilgrim houses). Please note: Accommodations along the Camino are very simple. Rooms and bathrooms are typically in shared spaces.